WKAR AM/870 celebrates 95 years on August 18, 2017. WKAR and Michigan State University entered the era of radio broadcasting on August 18, 1922! Join us as we celebrate 95 years making a difference in your capital region. Every day during the month of August, we'll bring you a piece of history from 1922 until now. AUGUST 1: Let's start with what life was like when WKAR went on the air in 1922: There were 3.9 million people in Michigan. Lansing's population was around 57,000 in the 1920's. Alexander J. Groesbeck was Michigan Governor. 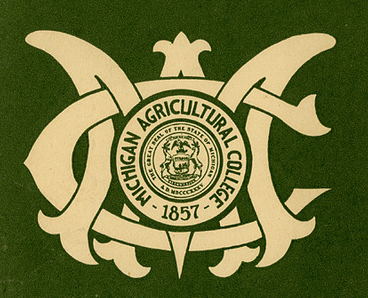 Michigan State University was known as Michigan Agricultural College in 1922. AUGUST 2: So how big was radio when we went on the air? In February of 1922, President Warren G. Harding introduced the first radio in the White House. In June, he became the first president to have his voice transmitted by radio when he dedicated a memorial site for Francis Scott Key, the composer of the “Star Spangled Banner." Two months later, WKAR was Michigan's eighth radio station to sign on. It was also the first educational station in the state. And the only station in the Lansing area until 1934. AUGUST 3: Today we look at the 1930’s when WKAR installed a transmitter, making our station available to much of Michigan’s rural population. In fact, WKAR’s horticulture and home economic broadcasts in the fall of 1936 helped salvage the state’s grape crop after an early frost. Our station aired information on how to care for frozen grapes, including the making of jelly!! AUGUST 4: Our station turned 15 in 1937… so what was going on in that year? In January of that year, Michigan celebrated its centennial anniversary! FDR was sworn in for his second term as President. In May of that year, the Hindenburg exploded into a fireball when it attempted to dock in Lakehurst, New Jersey, killing 36 people. And the 1937 Michigan State Spartans football team went 8-and-2 that year.. losing to Auburn in the Orange Bowl. 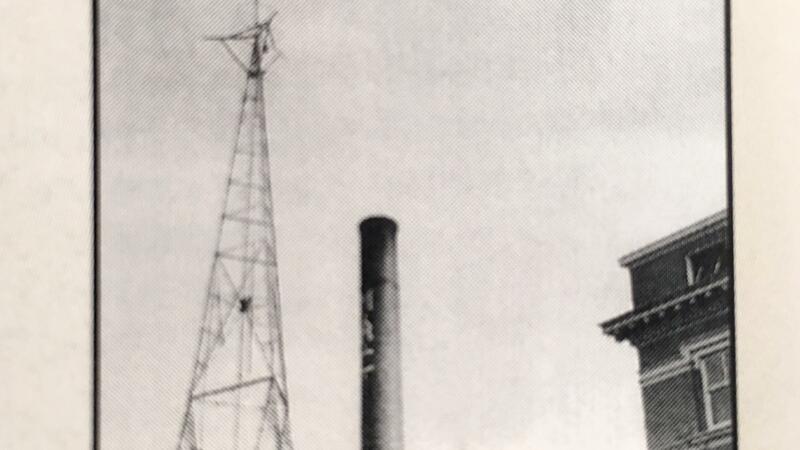 AUGUST 7: In 1940, WKAR radio installed in a new antenna and transmitter. It allowed us to reach 85 percent of the Michigan population. 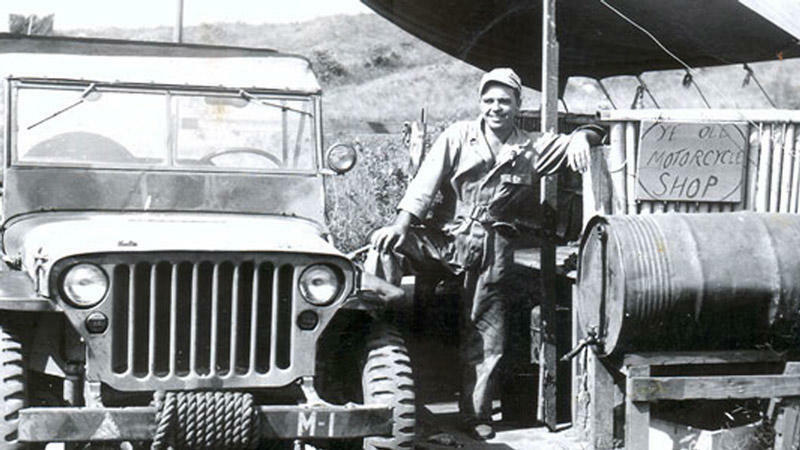 Our programming of music and farming information changed on December 7, 1941 after the attack on Pearl Harbor. For the next 4-and-half-years, WKAR promoted the purchase of war bonds as World War Two waged on. Our signal was at the disposal of the Governor of Michigan and the state Civil Defense Council. And much of WKAR’s operating staff and student announcers enlisted or were drafted into wartime service. AUGUST 8: 1952 is when we celebrated 30 years on the air. That year, NBC debuted The Today Show. Mr. Potato Head debuted in toy stores. The US tested the first hydrogen bomb and Dwight Eisenhower was elected President. Here in Michigan, a five day riot broke out at the Maximum Security Prison in Jackson. 2600 inmates caused more than 2-million dollars damage. Also in 1952, Lansing Metal Center was built as a jet manufacturing plant. It would later serve General Motors for decades. 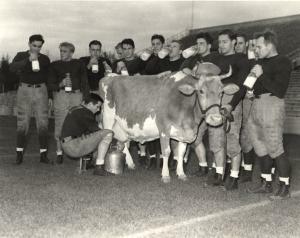 And the 1952 MSU Spartans football team completed a perfect 9 and 0 season under coach Biggie Munn. AUGUST 10: The 1960s was a decade of change. Michigan State University of Agriculture and Applied Science became the school we know today as Michigan State University. 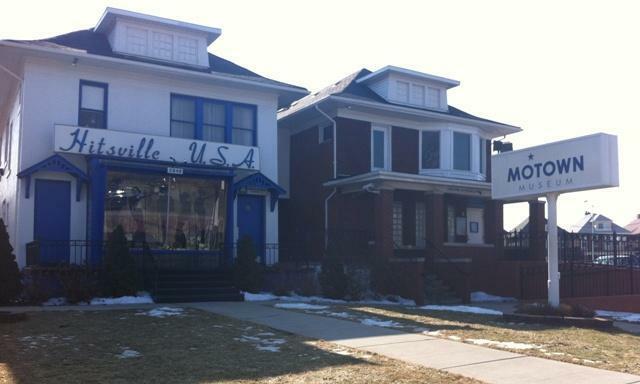 Record producer Berry Gordy took a few hundred dollars and turned Motown into a renowned music empire, putting Detroit on the musical map. While our programming touched farming communities, we also addressed a growing diversity in our state. WKAR debuted two programs focused on the musical contributions of African-Americans. And a program in Spanish language for the growing Hispanic community. AUGUST 11: We celebrated our 50th anniversary on August 18th, 1972. In that year, Michigan’s population was just over 9-million. It’s just under 10-million now. William Milliken was the Governor. 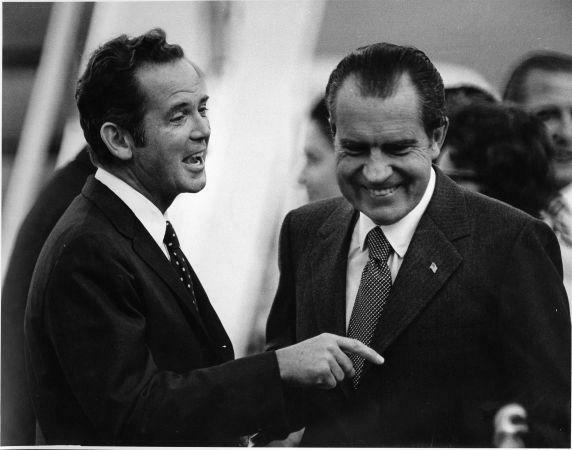 Michigan Governor William Milliken (left) and President Richard Nixon (right) share a laugh at Detroit's Metro Airport. Also in 1972, five men broke into Democratic National Campaign Headquarters in the Watergate hotel. The scandal ultimately led to Richard Nixon resigning from the Presidency. During the 1970’s, WKAR added All Things Considered in the afternoon. And we started the Radio Reading Service, where volunteers read newspapers, weather forecasts, best-selling novels and other materials to people who cannot access traditional reading materials due to visual, physical or cognitive conditions. AUGUST 14: In 1981, President Ronald Reagan nominates and the Senate confirms Sandra Day O’Connor, the first woman justice on the US Supreme Court. 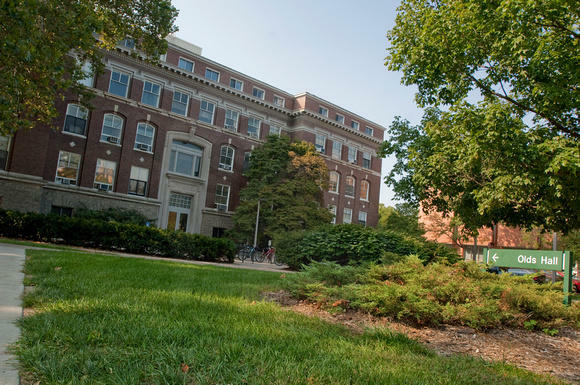 The same year, we moved into our current home, the Communication Arts and Sciences building on the MSU campus. It was also a trying time for Michigan. A national recession forced many people to give up luxury cars, hitting Detroit hard. And foreign carmakers also captured a larger share of the market. In the 1990’s, William Jefferson Clinton was elected U.S. President… many of us began using cell phones, DVD’s replaced videotapes, The Simpsons debuted on TV and there was explosive use of the World Wide Web. WKAR launched web pages in 1994. Now you can find our address at WKAR-dot-org! Just 3 years later, Michigan State University offered its first credit courses over the internet. Also in the 1990’s our Spanish language programming hit the 25th year mark.